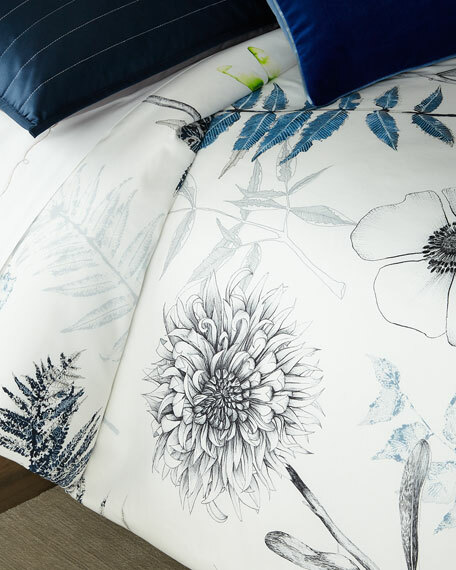 Cotton duvet in assorted nature print. 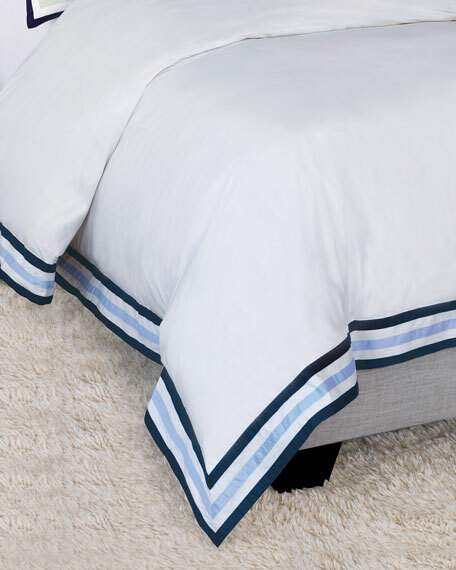 Duvet with tricolor striped border. 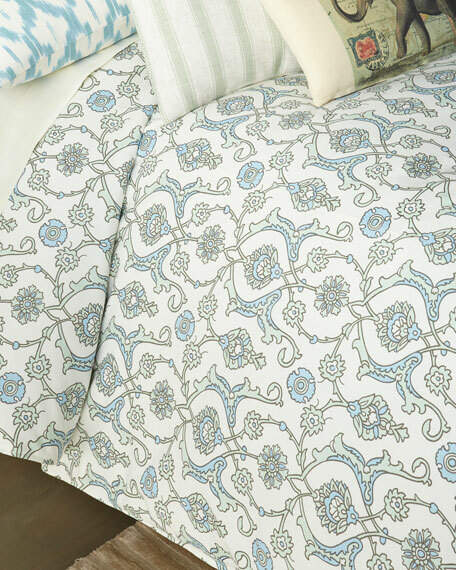 Egyptian cotton percale.114" x 98". 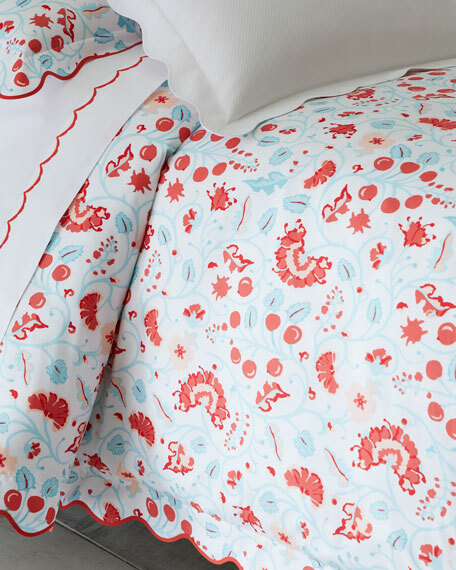 Oversized to accommodate pillow top mattress height.Machine wash.Made in the USA of Italian materials.